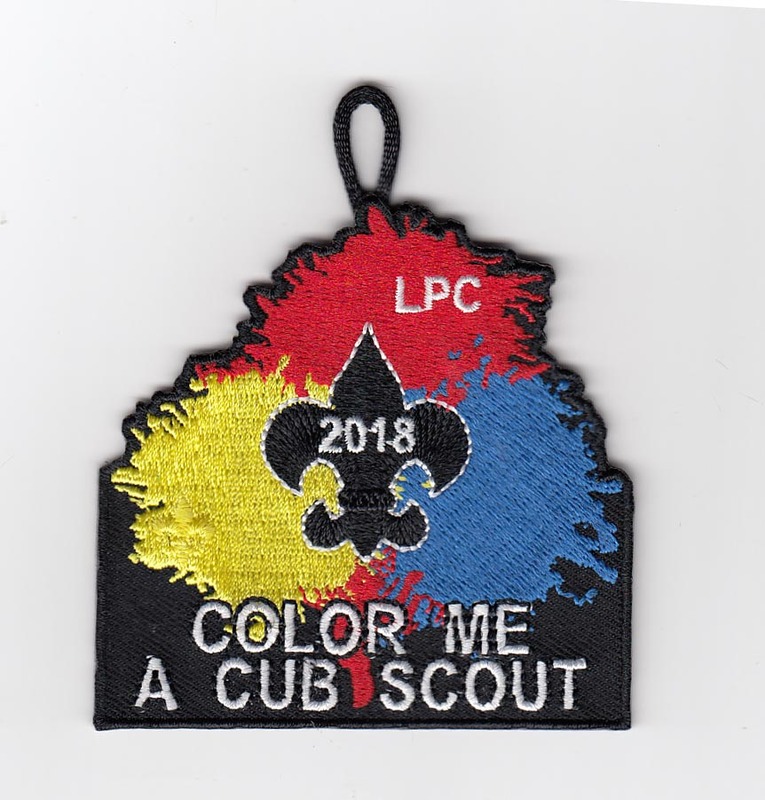 Get ready for a colorful adventure for Moms and Cubs with “Color Me a Cub Scout”. Cubs will get to spend a weekend full of Scouting and fun with their moms in a campout we are sure they’ll never forget. Scouts will also complete requirements toward their rank belt loops! Cub World comes to life with archery, B.B. shooting, and an Ultimate Color Blast on Saturday! Mom and Me is held at Cub World at Camp T.L. James. Check in will begin on Friday at 5 p.m. at the pavilion. You may enter camp to begin set up on Friday as early as 3:30 p.m. If you do not come out on Friday, Saturday check in will begin at 7:30 a.m. and the opening ceremony will be at 9 a.m. (at the flagpole by the treehouses) with activities beginning at 9:30 a.m.. Preordered T-shirts will be available for pick up at the trading post (which will be under the big treehouse in the field) after the opening ceremony. Friday night, we will have a “Light up the Night” Campfire. Scouts and moms should come to the campfire at 7:30 pm wearing glow-sticks of all kinds and colors to enjoy a time of songs and skits as we kick of the weekend! Saturday evening we will have our “Color Blast”! Scouts and moms should bring a plain white shirt to wear at this event. We will have a blast getting as colorful as possible! Please wear bottoms you are willing to stain (just in case!). We will also have a Neckerchief Slide Contest at Saturday’s campfire. Moms and Scouts should work together to bring an original, homemade Neckerchief slide. Judges will vote for the winner, who will receive a trophy! Mom and first youth registration cost is $50 and includes 1 t-shirt (see design at top of this page) and 1 patch. To receive the t-shirt with your registration, you must register and pay by September 26th at midnight. Registration will then remain open through October 3, but will not include a t-shirt. 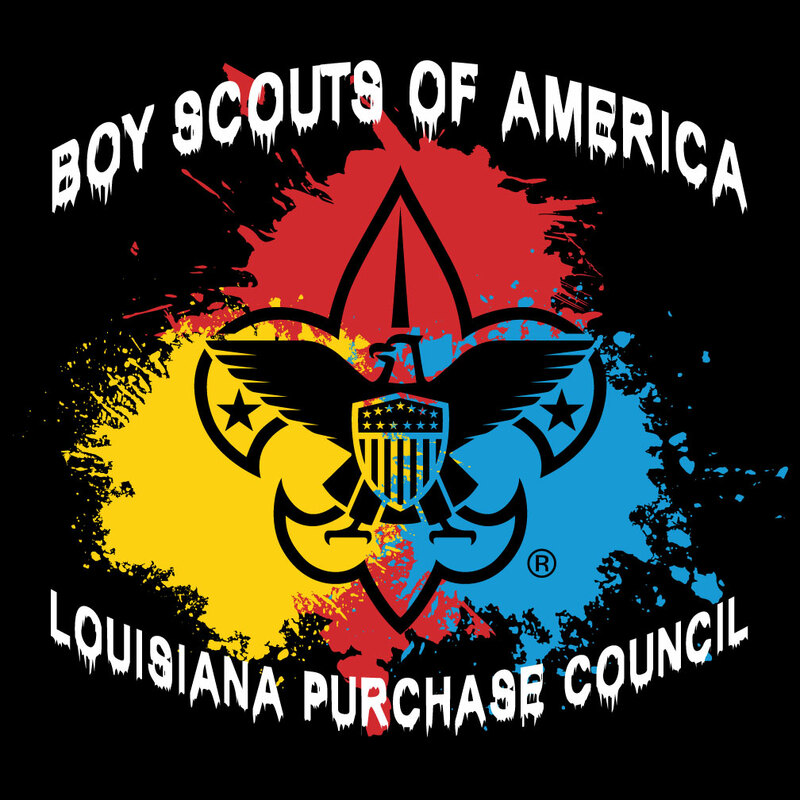 Each additional Cub Scout registration is $10 each and includes a patch. Additional T-shirts are $12 (YS through AXL) and $14 for (Adult 2xl and 3XL) and can be ordered through September 26th. Additional patches can be purchased for $3 apiece through that date. No food will be provided at Mom and Me. Please plan accordingly. A small concession stand with snacks/drinks/and Scouting gear will be available during the day on Saturday. We will also have Troop 5 cooking for those of you wishing to purchase lunch. An "Artist's Breakfast" on Sunday morning (including ‘paint’ toast and colored eggs) can be purchased for $3 per person. Scouts and moms will be able to decorate their toast and choose the color of their eggs. Preregistration required at online checkout. All parents should familiarize themselves with The Guide for Safe Scouting for rules and safety requirements for campouts. Please remember absolutely no smoking, alcohol, or open toed shoes allowed on camp property. Please note that if you pay online you will be assessed a small convenience fee. If you do not want to pay online, hit pay by mail option on payment screen and still hit the purchase button. All payments must be received by the Thursday before the event. Event will be held regardless of weather. No refunds.